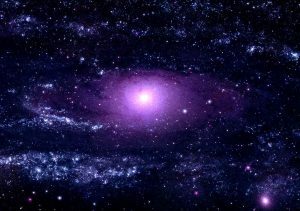 Home » Blog » What is the Second Coming? The Second Coming is probably the area of Christian doctrine that many people find the hardest to come to terms with. It seems too ‘out of this world’, too incredible to believe – and so it is if you take a literal view of it. The bible says a lot about it and there are several different ways of interpreting the biblical texts. Advent is the Latin word for ‘coming’, and it is often the theme of sermons during Advent, the period leading up to Christmas, but most churches tend to focus on the first Advent and avoid the pitfalls of the second! the Parousia, this is the term is most often used in the NT, meaning “arrival”, “coming”, or “presence”. The etymology of Greek word parousia comes from para “beside” ousia “presence” which gives a slightly different meaning – “the presence beside us” – I’ll come back to that. the other word used, less frequently, is ‘epiphany’, or ‘appearance’. In the church, we usually reserve this for talking about Jan 6th, the Epiphany Festival, celebrating the story of the Magi visiting the Christ-child. Of course, in normal language, epiphany means a sudden insight or understanding. I’m going to look at it in two parts, firstly taking the biblical worldview and its variations, and then looking at some other interpretations that draw more on the understanding of our world today. The biblical world view exists in a universe with three tiers. The highest tier was the heavens above the sky, which is where God lives. In the middle is the earth, or the firmament, and below the firmament is the place of the dead, which might be seen as hell or just Sheol, the place of shades, where the dead exist in some lesser form. If you take the bible literally, then you have to adopt this worldview with reference to the Second Coming. I know that is not the way the universe is ordered as we know so much more about it now, but in order to get inside the bible passages, we have to put on medieval heads for a while! The whole lot is a compilation of bits and pieces from various parts of the bible. Let’s take these one at a time. Where do they come from? The place where God dwelt was up in the clouds, up above. If that was all you knew, where else could Jesus come back from? It was obvious to the New Testament writers, he must come back in the clouds, because that’s where God always came from. In one single event, the saved who are alive at Christ’s coming will be caught up together with the resurrected to meet the Lord in the air. 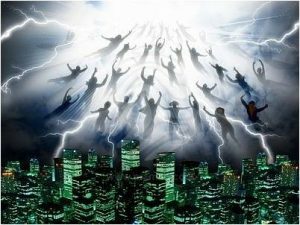 “Then we who are alive and remain shall be caught up together with them in the clouds to meet the Lord in the air.—1 Thessalonians 4:17 This became known as the Rapture. It does seem very far-fetched and stretches the modern mind to incredulity, particularly in the way that artists depicted it happening. But this is what we have inherited. A biblical view firmly rooted in a worldview that we no longer hold, stemming from pre-scientific, medieval times. So how do we make sense of it today? You can take it literally, if you want to, if that suits your literal mindset, but beware of having one worldview for everyday life and another for your faith, because the two will clash at some stage. IN the past many have tried to work out when the Christ will return and made predictions, basing them on various passages from various parts of the bible – all of which have been proved wrong. Even the Jehovah’s Witnesses have given up making predictions! The early Christians thought the return of Christ was imminent, that he would be there very soon, so they were to prepare themselves, but as time went on so the whole doctrine of the last things and the endtimes was expanded upon. To my eyes and ears now, it all sounds fantastical, but to do justice to the inspiration that came to the writers of the bible, I think we have to find some way of interpreting it. The overall theme is that something which happened in the past, the Christ event, has inaugurated something new, has brought in a new way of relating to God, which will reach its final consummation in the future. The Christian believer is caught up in the tension between the ‘now’ and the ‘not yet’. The kingdom God (or realm of God, to use less gender-related language) is here now, but not yet fully. How this should be interpreted has been the subject of all sorts of debate and writings. The ‘end’ can mean either the ceasing to be of what was, or the perfecting of what was begun. I like that second idea, the second coming is the perfecting of what was begun. How did it all grow? The doctrine of the second coming has been gradually formed by people like St Augustine in the 400s, built upon by others like Joachim of Fiore in the 1100s, and sensationalised by Dante in his ‘Divine Comedy’ of 1300. It was criticised at the Enlightenment of the 1700s as ignorant superstition, devoid of any real basis in life, and again in the liberalism of the 1800s. It was demythologised by Rudolph Bultmann, a theologian of the mid-1900s, then reinvented by Jurgen Moltman as the Theology of Hope in the later 1900s -and it’s still with us in traditional church liturgy and hymnody! I’m going to whisk through some of the theories that have been put forward in the past, before coming to the way I am trying to see it. The millennium – some have taken a literal view of the 1000 year period of holiness on earth mentioned in Revelation 20, during which Jesus and his faithful followers are to rule on earth. 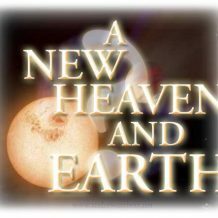 A- millennialism – there will be no millennium period and good and evil will live side by side until Christ brings in the eternal new earth. There is a slight problem for the literalists – we are now 2000 years on, not 1000! Christ’s Second Coming is identified with the destruction of the temple in Jerusalem by the Romans in 70AD. Again, this view would say it has already happened. But the book of Revelation was written after this destruction, and seems to still see the Second Coming as being in the future. The main argument of this theory is that Christ came in the Holy Spirit on the Day of Pentecost. Immediately following Christ’s words “I will come again” (John 14:3), he declared that he would send the Holy Spirit (John 14:16-17), and in the coming of the Holy Spirit, Christ would actually come to them. (John 14:18). The Second Coming has already happened 2000 years ago by this view. This theory maintains that Christ’s second coming is to be understood as taking place when he comes into a believer’s heart. It’s based on passages like John 14:21-23 where Christ declares that he comes into the believer to abide forever. So looking at it this way, the Second Presence happens when we open our hearts to God. According to some, the only second coming of Christ occurs at the time a believer dies. “There are many rooms in my Father’s house. I wouldn’t tell you this, unless it was true. I am going there to prepare a place for each of you. After I have done this, I will come back and take you with me. 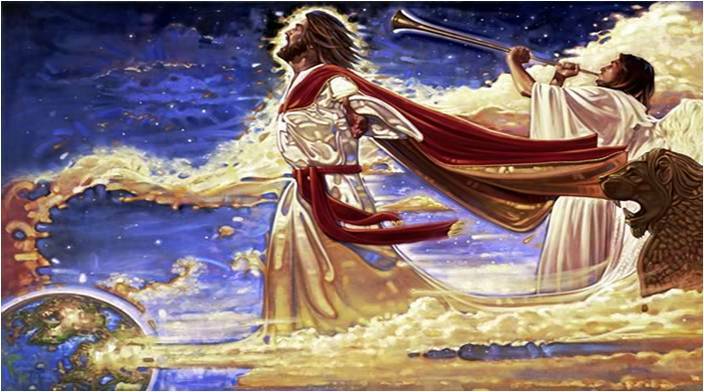 Then we will be together.” (John 14:2-3) By this theory, the Second Presence happens at death, when Christ comes to the soul of the believer and takes him or her to the Father’s house where we abide forevermore. As you begin to see, which theory you hold depends on which bible verses you want to focus on. The theories all contradict each other to some extent, and none of them can hold all the bible implications together. And that is not surprising, because the bible verses are not supposed to be taken literally – they are metaphors, visions, ecstatic utterances, poetic license. You can’t treat them as literal. You can’t prove what the Second Coming is going to be from the bible. Phew – are you with me so far! The literal biblical view is still held by many evangelical believers, and if that is where you are, and it works for you, that’s OK. But, as I said, be wary of holding your faith in one isolated compartment of your brain and not letting it come into contact with your intellect and everyday life in another part of the brain. God gave us brains for a purpose, to be used. My faith beliefs have to fit with my world view, or I have a schizoid faith which will crumble at some stage. We know now the universe is immense, God does not live in the clouds, in the sky, the solar system or the galaxy – although, in some way, God sustains all of it in existence and is present with us, within us. So we have to find other ways of understanding the presence of God in our own terms and language. The overall theme of the Second Coming is that something very significant happened in the past, the Christ event, the First Coming. This has inaugurated something new, it has brought in a new way of relating to God, which will reach its final consummation or fulfilment in the future. The Greek word most used to describe it is Parousia – para, meaning beside or near, or even beyond, and ousia – being. The beside being, or the presence. On the whole, presence is favoured by the linguists rather than coming. But its very hard to overturn tradition once it is established. Words are very important for shaping our thoughts and understanding. Think for a moment. 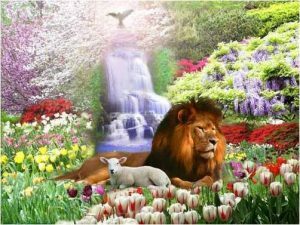 Would it make a difference to you if you understood it not as the Second coming, but as the Second Presence? So how do I see it? The way I have now view it, is to do with the inner meaning. Christianity can be seen in two ways – an outer form, an outer expression, which is always pointing to an inner meaning and an inner change. The First Coming is not just the Christ-child coming into the world, but was Jesus’ whole life, death, resurrection, ascension and the Pentecost events rolled into one. His impact on his followers was such that they were empowered by the Spirit of Christ to change the world, or rather to change some of the people in the world – but not all of it. For those who have followed the inner light of Christ have been changed. The inner reality is that those who have know the love of God in their hearts are being transformed into the image of Christ. That light has shone in many places outside of Christianity as well, bringing enlightenment to others. Wherever we see the growth of love, joy, peace, kindness, patience, gentleness, self-control – the gifts of the Spirit of Christ – then we know the light of God has touched that place, those people. The First Coming of Christ changed something for the human race, made it more possible for us all to change to be like Christ was. It was an inner change in the nature of being human. We can all know the Christ within, be remade in the image of Christ, and as St Paul says, be brought to the full stature of Christ. But we see so much in humanity that still has to change. We still see levels of human depravity that can leave us speechless with horror. And we wonder how it will ever change. This is where contemporary theories of human development can help. There are many, but one of the most popular defines six or seven different stages of development of human individual consciousness, and also the development of human cultural consciousness. They are termed Archaic, Magical, Mythic, Rational, Vision Logic, Psychic, and Integral consciousness and draw on the work of Ken Wilber in the development of his Integral Theory (about which there is vast amounts on the internet). They sometimes go under different names, and I’m not going to go into all seven, but the 2nd to 5th levels mark the passage from child to adult in an individual and are particularly relevant for understanding the Second Presence or Coming. Magical consciousness is the level of consciousness of the young child aged 2-7. The magical thinking typical of this level includes a world of fairies, Father Christmas and invisible friends. A child at this age is may be unable to distinguish between the contents of its mind and the external world. Culturally, magical consciousness was the level of consciousness in the tribally-organised ancient world, with many gods of rain and wind, animal gods, etc. The 3rd stage is the Mythic Consciousness of Children – the time marking the child’s emerging mind, the separation out from parents and the development if the individual ego. The child learns that there are sets of rules in the world to live by, and a standard of behaviour that is accepted by society. It’s a conformist, law-and-order level from early child to adolescence. Culturally, this has been the dominant level of consciousness in all the world’s religions, including Christianity. The 4th is Rational consciousness, which is the move that happens during adolescence, to a level of rational understanding of the world. It is the predominant level of understanding of adults in western society today. Culturally, a society that has moved to a level of rational consciousness can struggle with a religion that is still in a level of Mythic consciousness. This is one of the reasons why Christianity is struggling in the western world – it is framed in a mythic level of understanding, which conflicts with where most people are, at a scientific, rational level. The 5th level is Vision-Logic consciousness, which shows the ability to think from many different perspectives and to begin to integrate ideas and concepts. Vision-logic consciousness will think globally about care for others, and can grapple with global problems – it grasps things at an intuitive, visionary level, which can then be worked out logically. It is said that many international leaders are operating at this level, and that many of the great visionaries of the past were there, such as Albert Einstein. These levels of consciousness are not just the stages of individuals, of you and me, but they are stages of development of the human race, stages of the evolution of consciousness. The Second Coming is often seen as the end of the age, but that it doesn’t necessarily mean the end of time, but the end of an epoch, a period of time. We are currently at the end of a 2000 year epoch that started with the arrival of Jesus and his hugely developed level of compassionate, God-consciousness. He was as fully divine as a fully human being can be. Many individuals in the 2000 years since have attained great levels of compassionate thinking and being – the great wise ones and saints of old. Now you might disagree, you might want to think about it differently, and that is OK – but I feel that in order to do justice to all the early Christian and medieval thought that we have inherited about the Second Coming, we have to interpret it in some form or other for today’s world. Personally, I can’t go down the literal route, and I prefer to think that God’s divine energy will change the face of humanity over the next centuries, and that will be the Second Coming of Christ – in the heart of the whole of humanity, a change in the level of human consciousness. There is really no way of thinking about all this without getting into the realms of academia and theological ideas. For you and me on a day to day level, the Christian path is about making room in our hearts for the divine presence, to be aware of divine light shining within our lives, and to allow ourselves to be gradually transformed by the renewing of our minds. To be like the five wise virgins who took their oil with them, so that they were ready to meet the bridegroom and enter into the wedding feast. Or, as the Guides and Scouts put it – Be prepared! I’m glad you are providing blogs such as this. I don’t have time to read it yet, but I agree that the naive realist sort of view of sects such as the Christadelphians cannot possibly be correct, and that a more advanced Gebserian view such as your own is necessary if we are to see the real truth of the matter. The apostle Paul is especially misunderstood by almost all Christians. He, in the records we have in the Bible, is clearer (and historically earlier) than the accounts about Yahshua himself, and James the Just was seriously wrong in his view. Therein lies the whole problem of the Constantinian church of ignorance and error. No space or time to comment further now.